Lemon could be a good alternative to the vinegar. Add, in batches, to a blender and puree until smooth, straining each batch of puree into a large bowl. Stir in the 1 teaspoon of salt and the 1 teaspoon of pepper, then cover and refrigerate until well chilled, about 3 hours. 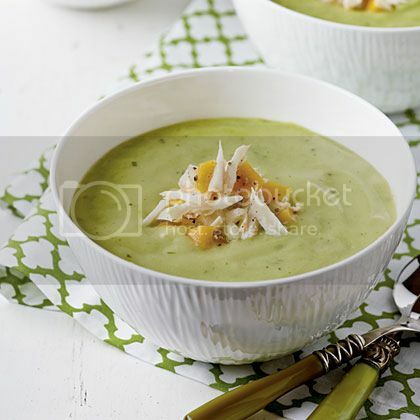 Pour the chilled soup into individual bowls.